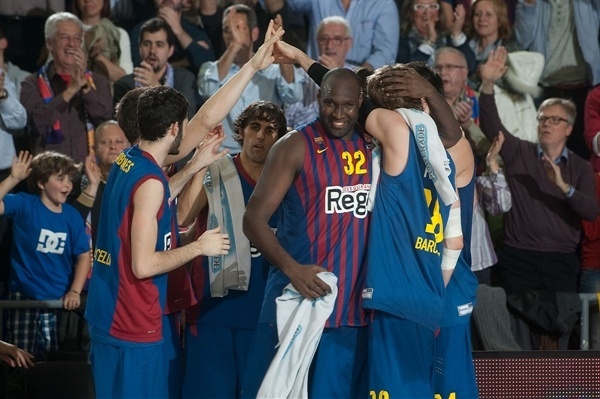 Barcelona Regal took another step on its quest for Turkish Airlines Euroleague glory by beating Panathinaikos Athens 64-53 on Thursday at Palau Blaugrana to win their best-of-five playoffs series 3-2 and advance to next month’s Final Four in London. Barcelona never trailed and was ahead by as much as 19 in the second quarter before the Greens rallied to within 6 in the fourth quarter. 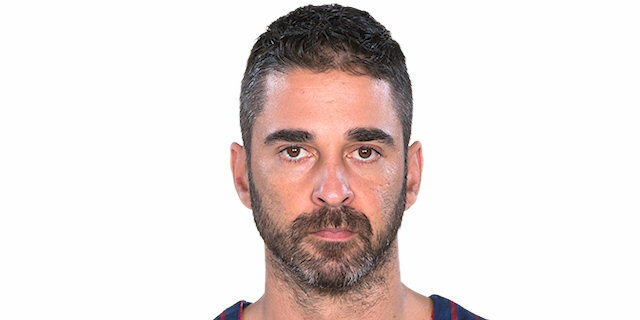 However Juan Carlos Navarro and Marcelinho Huertas each made timely threes to keep Barca in control en route to a deserved victory. Barcelona will face archrival Real Madrid in the semifinals in London. Two of the decisive factors in the game were rebounding and outside shooting. 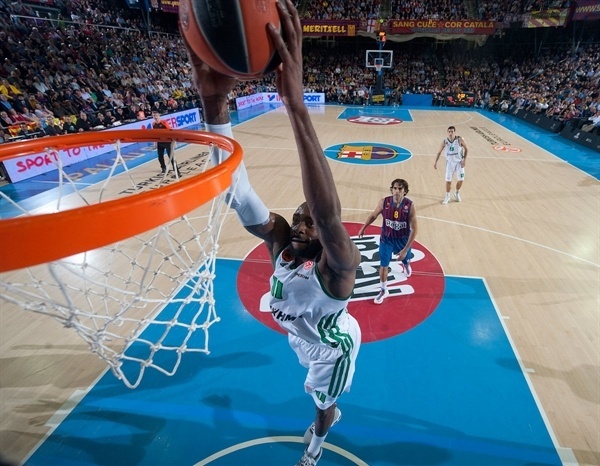 The hosts outrebounded Panathinaikos 46-32. And the visitors made just 1 of 16 three-point tries (06.3%). Those numbers proved to be too much for the Greens to overcome. Navarro led the winners with 15 points, Marcelinho added 10 and Nate Jawai came up big with 9 points on perfect shooting, 6 rebounds and 3 blocks in just 18 minutes. 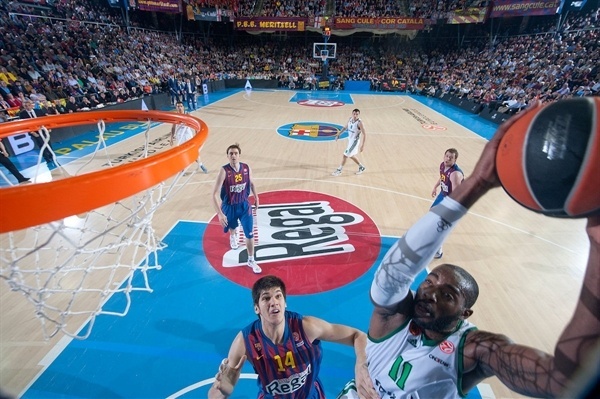 Stephane Lasme led Panathinaikos with 16 points and 7 boards and Jonas Maciulis netted 9 in defeat. Point guards Marcelinho and Roko Ukic scored their respective teams’ first baskets with penetration floaters. Jumpers by Marcelinho and Alex Abrines put the hosts ahead, but Panathinaikos countered through Lasme and Jonas Maciulis. Navarro brought the fans to their feet with the game’s first three-pointer, 9-5. 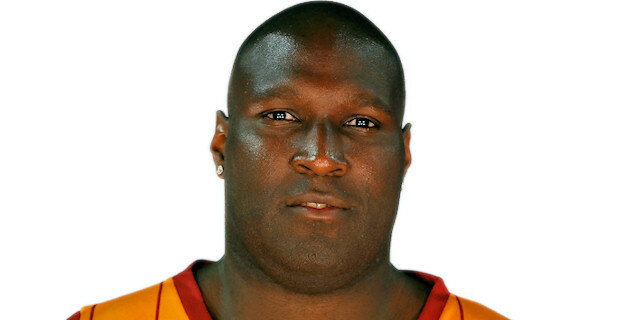 Jawai converted a crucial three-point play in which he stuck Panathinaikos star Dimitris Diamantidis with his third foul less than five minutes into the game and gave his team an 8-point lead. Mike Bramos came in and made an impact with an assist and a free throw. Joe Ingles made it 17-10 when he connected from behind the arc. 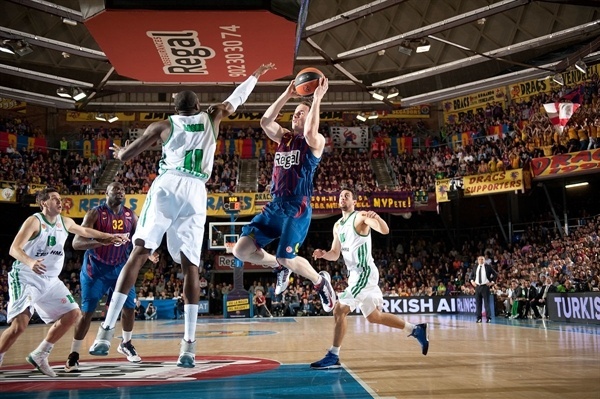 Barca doubled up the Greens on a basket-plus-foul from Erazem Lorbek. The visitors clawed back two baskets, but before long Marcelinho tripled from the corner and Ingles hit from the opposite corner to finish the opening quarter ahead 28-14. 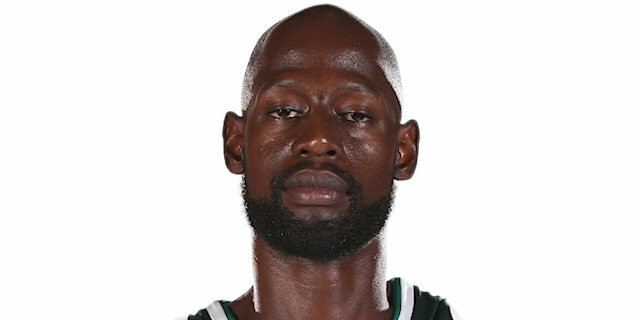 James Gist scored inside and Marcus Bamks from the line as Panathinaikos looked erase the lead, however Navarro made his famous la bomba and Jawai rejected Sofoklis Schortsanitis to keep the momentum at home. A Navarro triple and Jawai slam boosted the difference to 35-18. 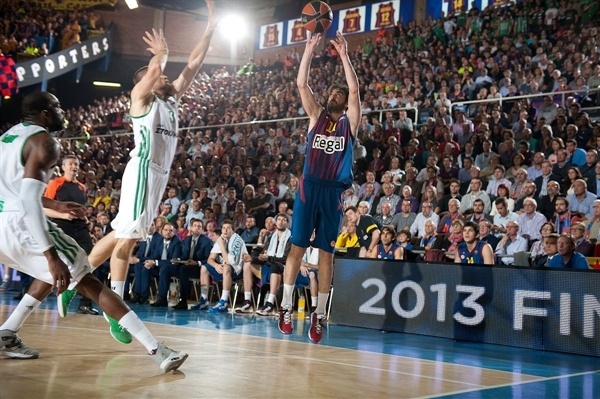 Ingles made it a 19-point game before Diamantidis came in and made a layup, but there was no stopping Barcelona. Marko Todorovic matched a Maciulis basket. Ukic sank the Greens’ first three and Lasme added free throws to bring the visitors within 12, but Lorbek responded with a three-pointer. Still the visitors battled and Kostas Tsartsaris set up Lasme for a slam. 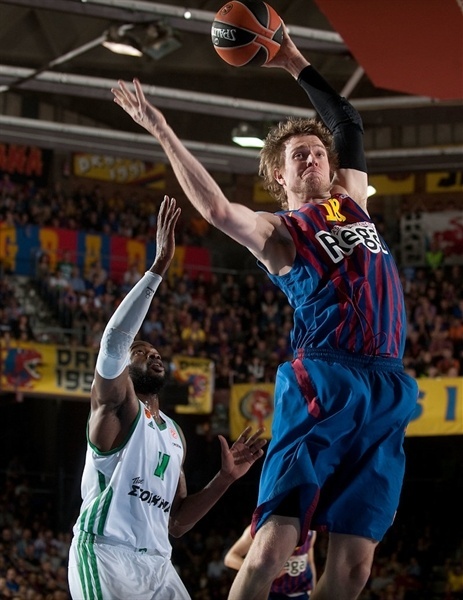 Then Lasme drew Ante Tomic’s third foul, drained 2 free throws and cut the difference to 9. Navarro, with a behind-the-back pass, set up Jawai at the basket for the half’s final basket and a 44-33 lead at the break. Jawai and James Gist traded scores to start the second half. Lasme and Ukic managed to trim the Greens’ deficit to 9, but Tomic answered three different times – including drawing Diamantidis’s fourth foul midway through the quarter. Missed shots on both ends kept the difference at 10 for several minutes. 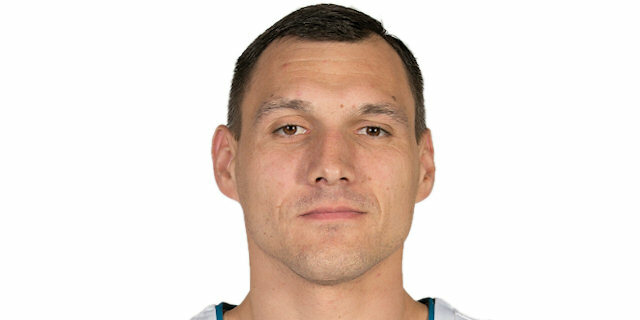 Diamantidis finally broke a four-and-a-half minute deadlock with a drive in the final seconds of the quarter to make it 51-43. 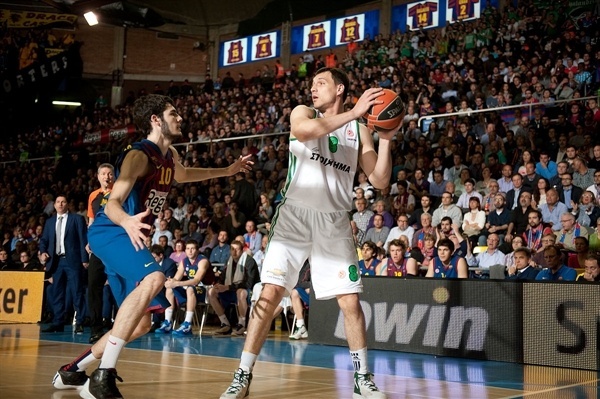 Diamantidis came through with a long jumper to silence the Barcelona crowd early in the fourth quarter. Navarro nailed a huge three-pointer two and a half minutes into the quarter to give his team some breathing room, 54-45. Another Navarro score settled the crowd down too. Macilulis answered, but with less than five minutes left, the Greens needed more. A pretty pass from Gist to lasme made it 57-49. Maciulis got to the line and carried his team within 6 on free throws with 2:41 to go. Ukic missed an open three that would have made it a one-possession game with two minutes to go. Instead Marcelinho connected at the other end to make it 62-53 as the arena erupted in song. A missed Diamantidis three seemed to mark the beginning of the end for Panathinaikos. 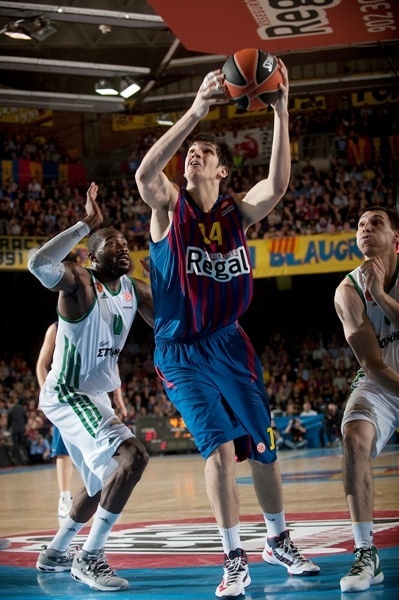 Sarunas Jasikevicius iced the game from the line with a minute to go as Barcelona turned its attention to London. "We’re delighted with the support today from the fans, in addition to the result. The fans made it a magical occasion, packing the Palau and providing a great atmosphere. I want to congratulate the players, after that, for giving their all for the team, the club and for the badge. We are obviously happy to qualify for another Final Four. The game was typical of a tight playoff series in terms of intensity. We started well, but in the second quarter we made a couple of defensive errors that let Panathinaikos close the game up a little. We then had a few imprecisions with our passing and shooting. It became one of those typical high-pressure games. We are frankly content with the result tonight. We had a difficult start to the series, but were able to win it in the end, and I think that we dominated Game 4 and Game 5. We prepared well for a very tough opponent. For me, to celebrate 100 games in charge of Barcelona with qualification for the Final Four is ideal. Winning Game 5 at home is also something that doesn’t happen every day. Now we will recuperate and gather our strength again for what awaits us in two weeks." "It was a very intense game. There was a lot of emphasis on defense in this contest. What took us out of the game was the 3 fouls on Diamantidis in the first quarter. We rushed our offense a lot, because we wanted to win so badly. 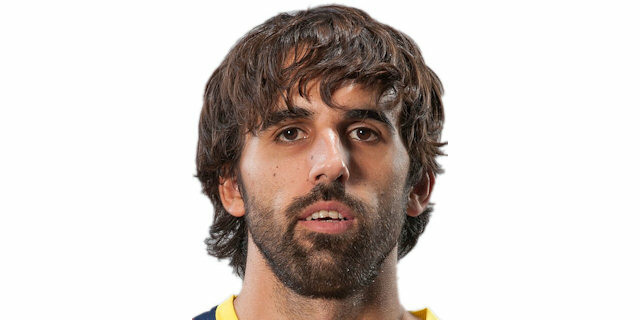 Barcelona scored 28 points in the first quarter as a result of this. We did much better in the second and third quarters, and in the third we tried to take Navarro out of the game because he has the skills and experience to win these games in clutch time. We used a lot of switching on him, both on and off the ball. A crucial statistic for us was that we went 1 from 16 on three-point shots. The reason for this was maybe that we don’t have so many players with the experience that these games require. Another stat which hurt us was that Barcelona had 19 offensive rebounds. Even though we played excellent defense, their rebounding tired us – mentally and physically. Good luck to Barcelona in the Final Four; overall it deserved to go through. I’m very proud of our team, too. It’s a new team and we had a very good year this season. Next year we will be much better, after this experience." 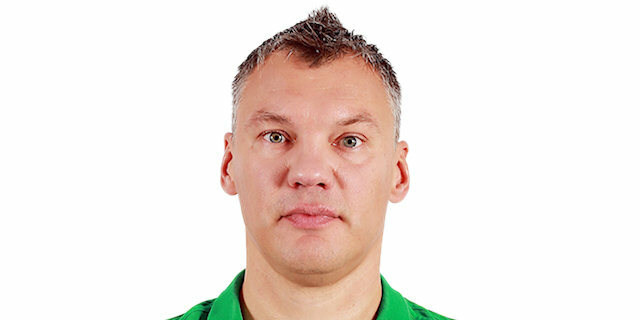 "It is very difficult to get to the Final Four. We had a good regular season and despite losing one game, it was a perfect Top 16. We didn't play really well in this series and faced a team that is playing its best basketball right now, with great fans. It is really difficult to beat them in their court. The positive thing is that we are in the Final Four. As our coach told us, we have two weeks and have to improve if we want to have chances to win this title. I think we are missing something; we are not playing our best basketball. I think we deserve credit for rallying in this series against a tough, experienced team like this. I hope we arrive in a good moment. We have plenty of talent and a coaching staff that will prepare the games really well. We have to get ready to play well in the Final Four." "We are very happy with the job we did. They lost potential this season, but managed to give us a lot of trouble. We managed to stay patient and were able to solve the series. Game 5 at Palau Blaugrana is a unique experience. I was in London with the Spanish national team and now I am going back. I would not sign to be second in London." "We had a fantastic start but they made it really hard for us in the second half. It was tough to play offense against them. We knew it would be a complicated game. They improved in the second half, but we won, which is what matters. We did a good job and even though Panathinaikos was fourth in its Top 16 group, it is a very experienced team. We must rest now. We took it to the limit, physically speaking, in the series. 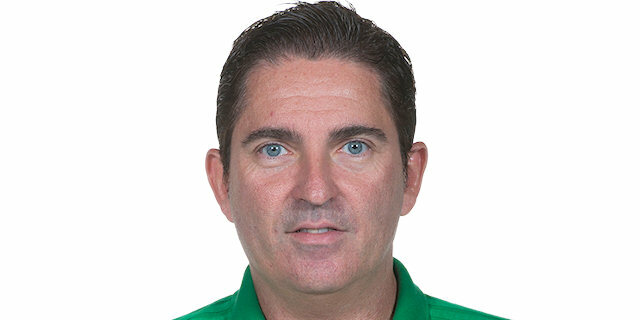 We had a lot of problems, especially what happened with Pete Mickeal, a very important player for us. It was a tough series." "We are happy, but this is not the end. 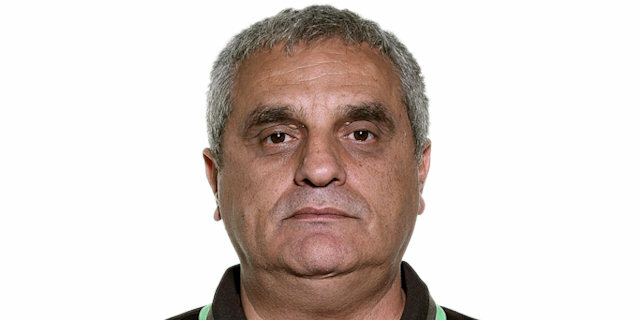 Panathinaikos took us to five games. They played well, but we found a way to beat them. We fought hard during the season for home-court advantage and we won at home. " "I don't know what the difference was in this game. We had a really bad start, and after that bad beginning we didn't come back into the game. We tried, we did our best, but against such a good team as Barcelona it is tough to recover when you give them a 17-point lead at their home court. That we didn't quite make it in the end is just how basketball is. Someone loses and someone wins. It's bad for me and everybody here is sad that we lost, but this is basketball. We need one final push now, in order to take the consolation of one more title in the Greek league. The Euroleague title just wasn't to be this year." "You've got to give credit to both sides. We played tough in every game, and I think we gave all the fans in Europe what they want to see. They got an exciting series from us. Barcelona came out on top, so congratulations to them. I came into this series thinking that we were going to win, knowing that we were going to win. A lot of people were against us, a lot of people thought Panathinaikos wasn't going to be the same and nobody expected us to take two wins. Everybody thought we were going to go 0-3. I give credit to the guys, because we fought, and I feel like we could have done better. That's the frustrating thing. But let's give credit to Barcelona, because they stuck it out and they ended up winning."